As we get ever closer to the assumed iPhone 5 announcement, the rumour mill is now officially in overdrive, throwing out tons of images and potential clues to what Apple's next smartphone will be. 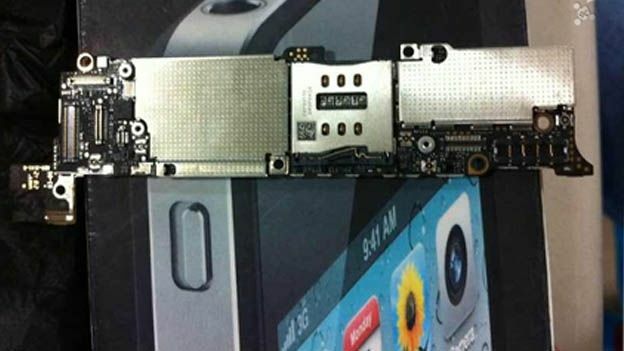 In that spirit, today a number of images have emerged from the WeiPhone forums, claimed to be a brand new type of motherboard. Some have been quick to pick apart the image, and extrapolated a number of differences the iPhone 5 could have over the 4S – such as more antenna connections, new touch screen technology and a better battery. Credence has been given to this particular post since the person responsible also apparently posted pictures of the iPhone 4S's motherboard just before it launched last year, according to 9to5 Mac. The latest consensus on a potential launch date appears to be settling around September 12th – and some have claimed the launch event will be also encompass the launch of a new smaller tablet, dubbed the iPad Mini. While the iPhone 5 remains the most useful term to refer to Apple's next smartphone offering, there have been rumblings that it will simply be called 'the new iPhone'. This is in line with Apple's iPad naming policy, which earlier this launched 'the third generation iPad' rather than 'the iPad 3' as many had assumed it would be called. With larger screen sizes more popular now, such as that seen in the Samsung Galaxy S3 and the HTC One X, there has been speculation that Apple will counter with a larger screen size for the iPhone 5. Others have countered that since its huge library of apps in the App Store are optimised for a 3.5-inch screen, this would be a strange move. At this stage it remains speculation, though many are expecting a thinner phone with a smaller bezel. Other punts include a 3D camera, a widescreen ratio, and an entirely new design.